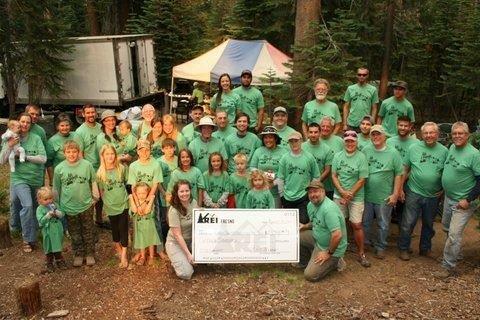 Vital Trail Maintenance offers projects and trips for families and friends. Yes, we are one of only a hand full of volunteer opportunities that remain committed to offering you our events at no cost – it’s all FREE! Vital Trail Maintenance is one of the key support functions we provide. 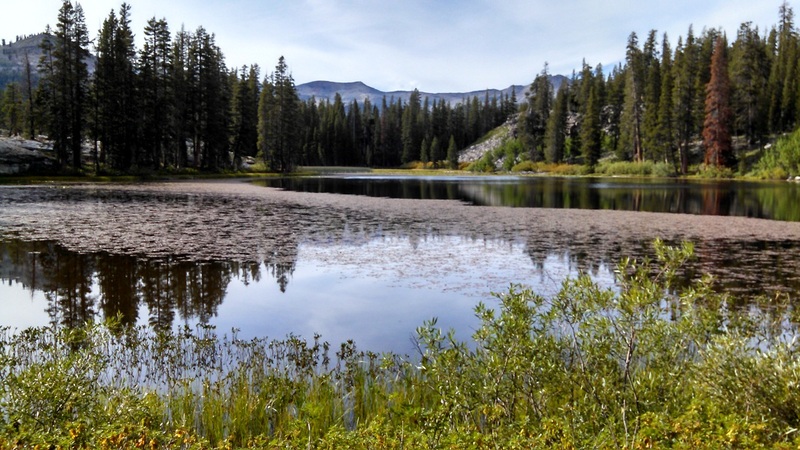 Responsible for close to a half a million acres of wilderness and other forest lands, The High Sierra Volunteer Trail Crew offers outdoor trips that can accommodate friends and family of almost any age and ability. Volunteers can work as much or as little as they want. 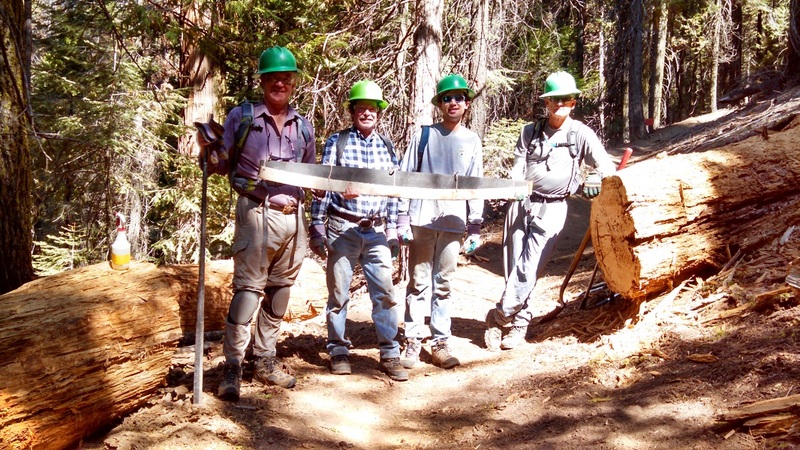 On a normal day our volunteers head out on trails to clear fallen trees, maintain erosion control, restore trail tread, clear encroaching brush, and most of all enjoy the Sierra Nevada and all it has to offer. The VTM program has been the heart of HSVTC since its inception. gained weight because we feed everyone so well. All you need is the desire to sign up. Show up and begin the time of your life with people you have never met but will remain friends with for years to come because you and they shared a unique experience together. As volunteers you will head out on trails to clear windfalls (down trees), maintain erosion control (water washed out the trail), restore trail tread (short for put the dirt back on the trail), and clear encroaching brush (oh yeah, just like pruning the shrubs at home). Yes, it’s true all this fresh air, mountain scenery, wildlife, and four star meals prepared for you and it’s free. We encourage all ages to attend. You can call Rick Fleming, the Executive Director, and get the details related to all events and obtain advice on the trip best suited for you and your family. and we always look for a project close to the camping location where we are staying. The VTM program has been the heart of HSVTC since its inception, come join us for one event, you will be hooked, we guarantee it or please let us know. One day to one week opportunities to work on our public land trail systems.